Argentina is one of the most successful football nations in the world. The South Americans have won the FIFA world cup twice and finished runners-up on 3 occasions. They have also won the Copa America a record 14 times and produced some outstanding footballers over the decades. Argentine footballers typically have the Latin American flair in their game but are not totally averse to the powerful style of European football either. The admixture of two contrasting styles has made Argentina’s football a delight to watch. Moreover, the Argentine people are very passionate about the game, and their national football team stands for the pride of the nation in general. Batistuta was fondly called “Batigoal” because of his natural tendency to score goals. He remains one of the finest strikers of the modern era, and also one of the greatest footballers Argentina has produced. He was a legendary player for two Italian clubs: Fiorentina and AS Roma, and he retired from the game as one of the most successful strikers of all time. Batistuta was blessed with a natural ability to score goals, as well as great shooting and heading abilities. He could shirk his markers quickly and had great acceleration. He could also take powerful shots from the edge of the penalty box and also quite adept in taking free-kicks. Batistuta joined Fiorentina in 1991 and played for them till 2000. He scored a whopping 203 goals in 331 matches for them. Thereafter, he joined Roma in 2000 and went on to score 33 goals from 87 matches for them. He won the Serie A title with Roma in the 2000-01 season. He also played for Italian club Inter Milan for a while and ended up with 238 goals in 430 matches in his club career. He also finished as the top scorer in the Serie A thrice in his career. 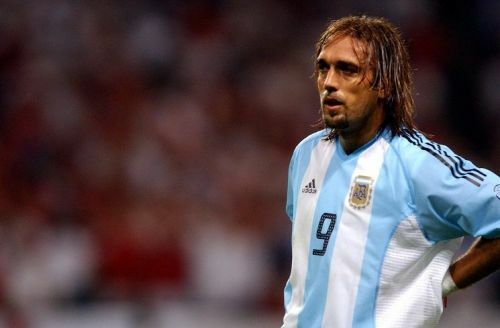 Batistuta was quite successful for the Argentine national team as well, as he retired as the highest goal-scorer in Argentina’s history with 54 goals from 77 matches. He has two hat-tricks to his name in the World Cup and won 2 Copa America titles with the Albicelest. 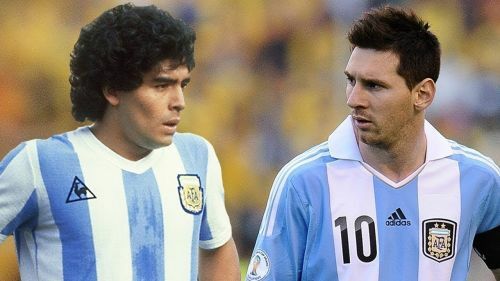 Is Messi a lesser player than Maradona because he has not won the World Cup?